This is from Öland, Sweden. There’s a light house at each end of the island. 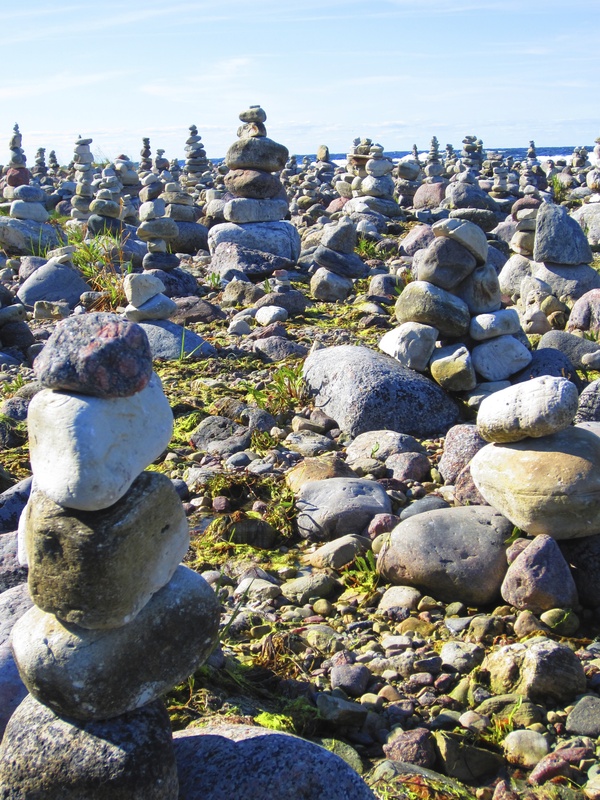 At the North end of the island, the lighthouse is called Långe Erik and underneath the lighthouse, on the shore, visitors build stone stacks to represent the lighthouse. It’s pretty amazing. There’s literally thousands of them. I have no idea how they stay up.